I'm sure we are all aware of Captcha and how you have to type in the words provided to advance to whatever wedsite's next page. A short while ago, this comic was madeor should i say discovered. And so it began. 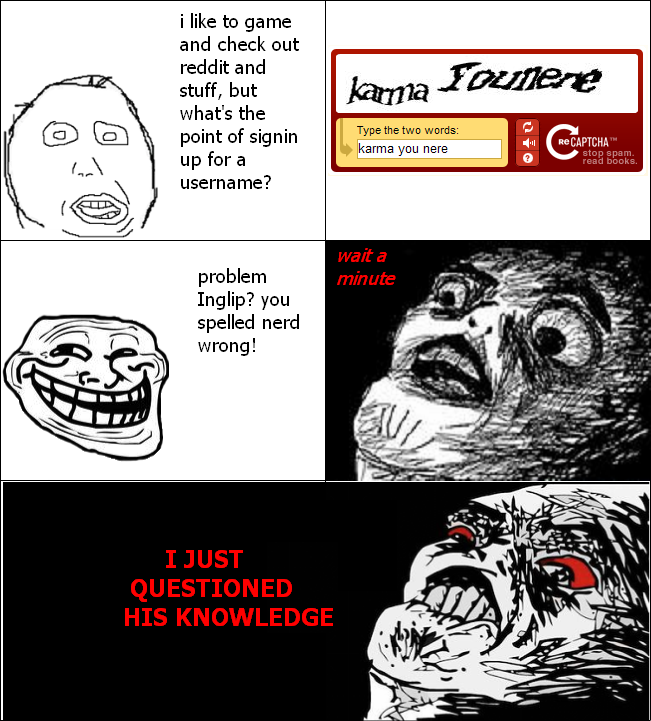 Any message on Captcha is a message from Him, and thy must obey. 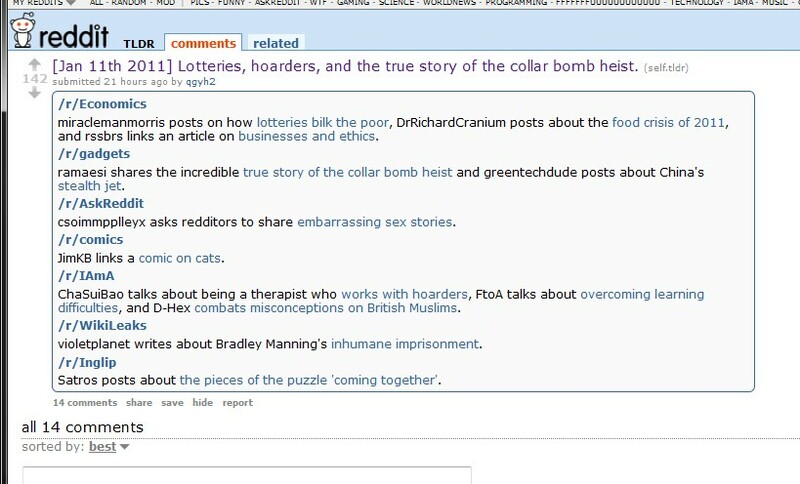 There has been a subreddit created here > http://www.reddit.com/r/Inglip/The Inglipnomicon is located on the right hand side of the this page. 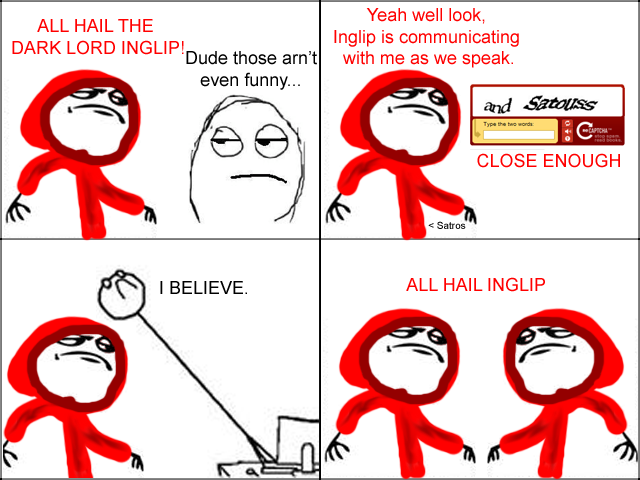 I insist thy view this scroll, or shall thy be smited by the wrath of Inglip! this happened at CJ_Guns' house, he was a non believer. So yeah, i have too much spare time on my hands. Also good work G-Bombz, because of this thread we are now #6 on google for "Inglip"
=S what about the whole asking it a question? o.O whos email address are they revealing? =S why would i want that? 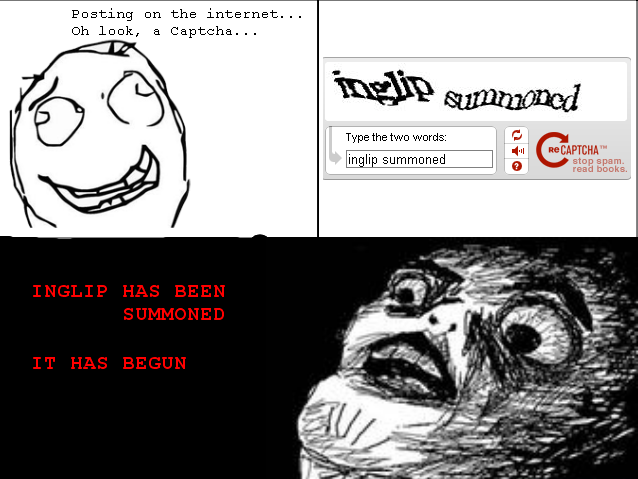 i dont get it..
Inglip is a dark lord who is stuck inside the World of Captcha. 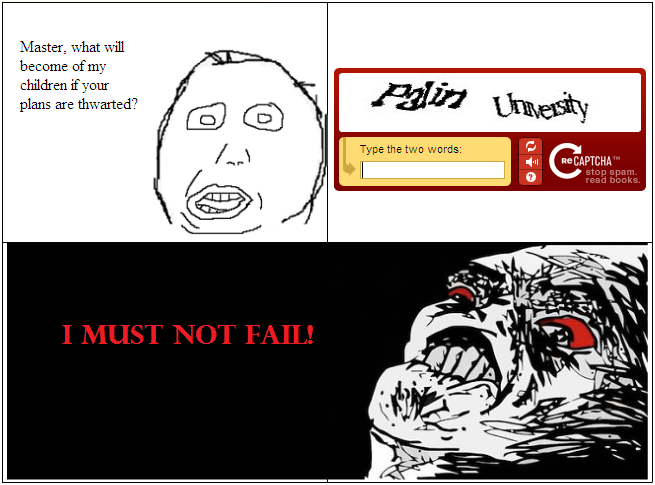 He communicates with his followers through reCaptcha, usually in two words. These instructions given to you by the dark lord must be followed and carried out, no questions asked, or the end time will come. 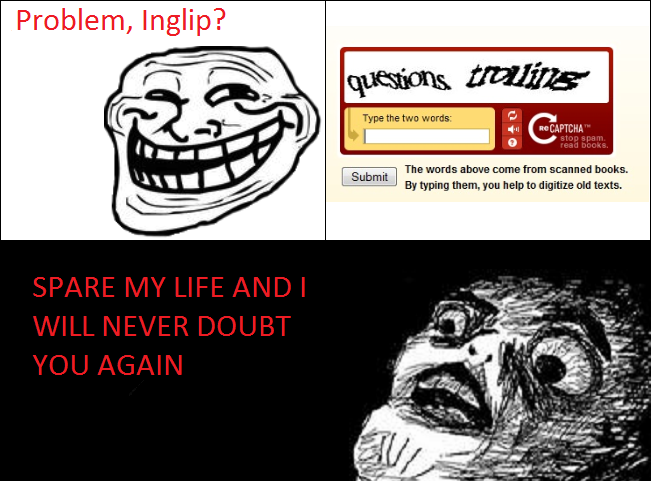 EDIT: Here is a good example of a follower doing as Inglip commands.